Jalen Bell is speaking out. 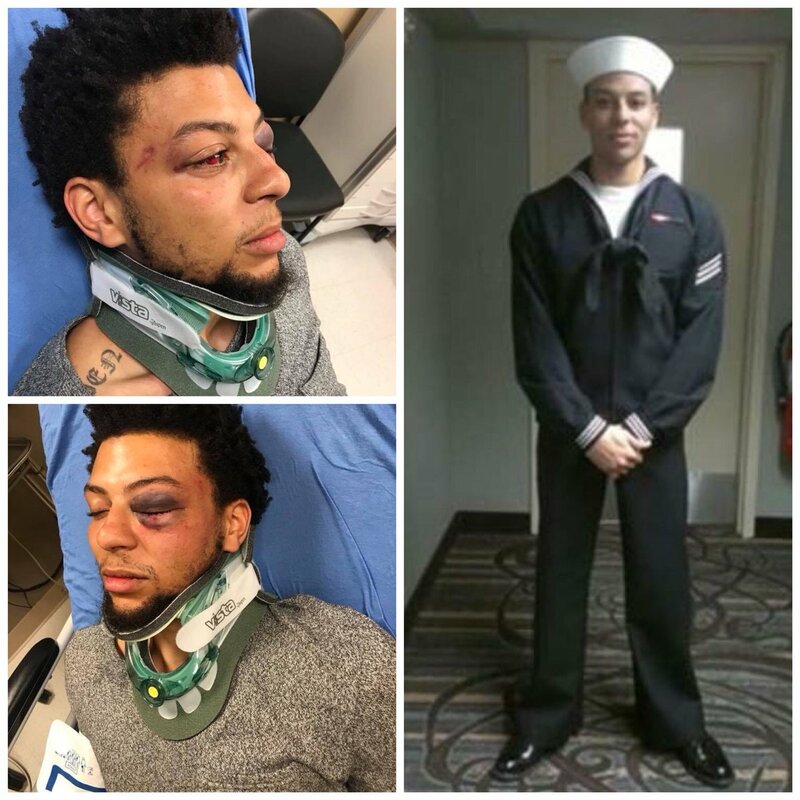 Jalen Bell has served his country but that didn’t stop a group of white man from brutally attacking him. 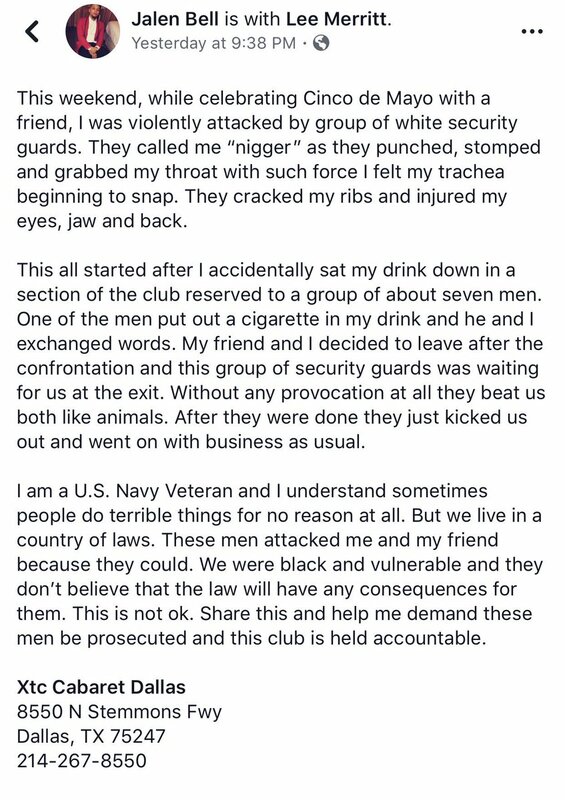 The U.S. Navy veteran revealed he was assaulted this weekend in Dallas, Texas, and, thankfully, his social media posts have gone viral. We hope the men who attacked him are properly punished. As Bell asked, please spread the word about this story.